Teens lead Azerbaijan Jews up the spiritual mountain – J.
KRASNAYA SLOBODA, Azerbaijan — In many respects, 16-year-old Mark Zarbaiyulev is the spiritual father of this Jewish hamlet. When hundreds of Krasnaya Sloboda's men crammed into the synagogue last Passover, Zarbaiyulev began the service. On the second night of the holiday, he led a seder for 25 of the town's Jewish community leaders. But Zarbaiyulev is not the long-bearded Torah scholar one might imagine: Peach fuzz shadows the young man's upper lip. In fact, virtually all of the 25 influential Krasnaya Sloboda men at Zarbaiyulev's last seder were teenagers. Before there was a Soviet Union, when the village was called Yevreskaya Sloboda — literally, "Jewish Village" — its learned men were widely known, and prayed at 11 synagogues. The Communists closed the synagogues, exiled the rabbis to Siberia and changed the town's name to Krasnaya Sloboda, which means "Red Village." Those who grew up in the Soviet Union, before Mikhail Gorbachev took power in the mid-1980s, were deprived of a formal Jewish education. In the last decade, however, religious practice has revived in this mountain town of 4,000 Jews. Zarbaiyulev has studied with dozens of young men during the last two years at the town's new yeshiva, staffed with Israeli teachers. The same teachers instruct 12 girls, ages 9 to 13, in Hebrew and Jewish songs. Today, year-round, the streets ring with "Shalom! Ma nishmah? "– Hebrew for "Hello! How are you?" During Passover, the children greet each other boisterously in Hebrew with "Chag sameach," or "Happy holiday." While the traditional culture of the Mountain Jews, as Krasnaya Sloboda's inhabitants are known, rigidly respects patriarchal authority, the young people's superior knowledge has turned this notion upside down. Zarbaiyulev's father, Tzvani, a plumber, knows few Hebrew phrases, but employs "l'chaim!" frequently as he takes shots of vodka on the occasion of an interview with his gifted son. Despite his father's encouragement, Mark Zarbaiyulev refuses to drink. His father toasts his youngest son anyway, boasting, "Even his oldest brother listens to Mark!" The brother in question, Levy Zarbaiyulev, at age 20, is almost an elder statesman among Krasnaya Sloboda's educated Jews. "I remember when I was leading the seder six years ago," Levy Zarbaiyulev says. "Now I'm too old to study. I have to earn, not learn." 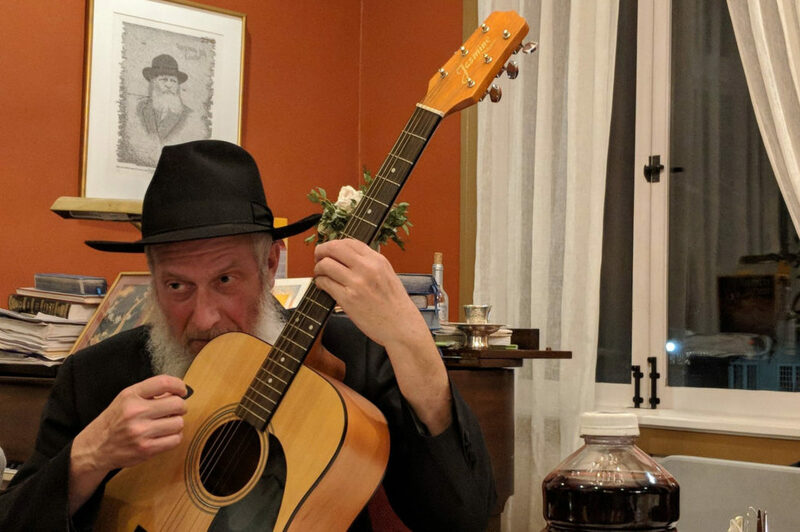 Though he is confident reading from the prayerbook on the synagogue's dais or teaching Hebrew prayers to his yeshiva mates, Mark Zarbaiyulev shies away from his elders' attention, grinning silently. 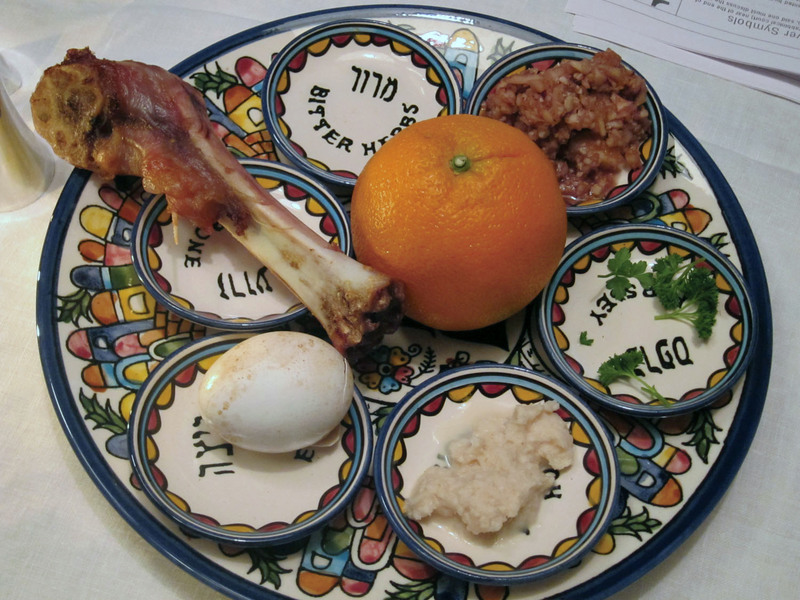 Only his big brother's prodding coaxes him to divulge what is one of his favorite parts of Judaism — the Passover Haggadah. "I love how the family tells the story of the Exodus, especially where the men come to tell Rabbi Akiva that it's time for the morning Sh'ma. Rabbi Akiva was so immersed in Torah that he forgot the time. That's beautiful," he says. "That's how Mark is," Levy Zarbaiyulev says. "Once, Mark went to the yeshiva to discuss Torah with the rabbi and did not come home until the next day." On an average day, at 6 a.m. Mark Zarbaiyulev is already walking to the yeshiva before school. The yeshiva gave him a key because he often is the first to arrive in the morning and the last to leave at night. Two hours later, as sunlight breaks over the mountains, Zarbaiyulev steps into the street, just stirring with the plodding footsteps of sleepy men heading to synagogue for morning services. Each man touches the mezuzah in the temple's door frame, kisses his fingertips and removes his shoes in the hallway before stepping into the tiny back room used for daily prayers. The floor is covered with the time-worn handmade carpets for which the region is famous. The wood-burning stove and close-packed bodies cause eyeglasses to fog. A young man leading the service stands on a small platform bedecked with Stars of David and races through the service at an auctioneer's pace. The other young men crowd into the corner of the room, poring over prayer books, murmuring in Hebrew, standing and repeatedly bowing. Men older than 20 mutely stare into space from their preferred seats on long benches. The young men wear kippot, the older men tall, furry hats or flat, soft, wool caps. When the young leader pauses, the older men shout "Amen!" reflexively. When the young leader yells "Kaddish!" nearly all of the older men bolt to their feet, pull folded papers from their pockets and struggle through the mourner's prayer, transliterated from Hebrew into Cyrillic characters. Though some girls have begun Jewish studies, not one attends the regular synagogue services, which the young men lead. In Krasnaya Sloboda, women typically visit synagogue only once a year: to kiss the Torah on Yom Kippur. That is not to suggest that the village's women are peripheral to the Passover celebration. However, their tasks are largely of a domestic nature. Women and girls spend nearly a month before the holiday scrubbing every floor, dusting every shelf and cleaning every rug in their homes, avidly complying with the ban on bread, which requires the removal of every speck of bread from the household. The girls assist their mothers in the kitchen preparing ashkana — the Passover beef stew — and khoyagusht — fried spinach, eggs, beef and onions — as well as other traditional Mountain Jewish dishes. Cooking smells begin to permeate the village streets a week before the holiday. Zarbaiyulev is confident the town is on a path to regaining its former Jewish glory. "Every day, there are more students coming to the yeshiva," he says. "Because of that, I think there will be more synagogues, more schools, so that during Pesach when we're old men here, it will be Yevreskaya Sloboda — a Jewish village — once again."